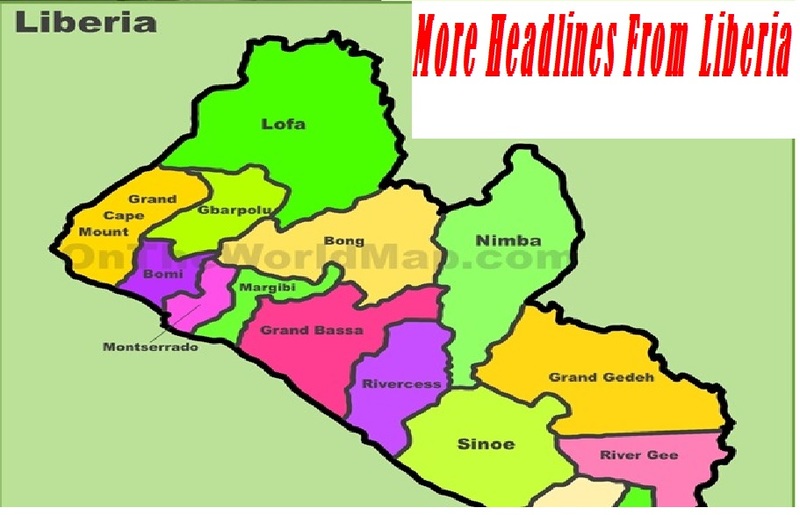 Born on October 1st, 1966, ‘Oppong’ as he affectionately call is expected to become Liberia’s next President; a retired professional footballer who played as a striker. Widely regarded as one of the greatest African players of all time, in 1995 he was named FIFA World Player of the Year and won the Ballon d’Or, becoming the first and to date only African player to win these awards. In 1989, 1994 and 1995, he was named the African Footballer of the Year, and in 1996, he was named African Player of the Century. Known for his acceleration, speed, and dribbling ability, in addition to his goalscoring and finishing, Weah was described by FIFA as “the precursor of the multi-functional strikers of today”. In 2004, he was named by Pelé in the FIFA 100 list of the world’s greatest living players. After beginning his career in his home country of Liberia, Weah spent 14 years playing for clubs in France, Italy and England. Arsène Wenger first brought him to Europe, signing him for Monaco in 1988. Weah moved to Paris Saint-Germain in 1992 where he won Ligue 1 in 1994 and became the top scorer of the 1994–95 UEFA Champions League. He signed for Milan in 1995 where he spent four successful seasons, winning Serie A twice. His most notable goal in Italy saw him run the length of the field against Verona. He moved to the Premier League towards the end of his career and had spells at Chelsea and Manchester City, winning the FA Cup at the former, before returning to France to play for Marseille in 2001, and subsequently ending his career with Al-Jazira in 2003. At international level, he represented Liberia at the African Cup of Nations on two occasion, winning 60 caps and scoring 22 goals for his country. A sporting idol in Africa, Weah became heavily involved in politics in his homeland of Liberia following his retirement from football. He formed the Congress for Democratic Change and ran unsuccessfully for President in the 2005 election, losing to Ellen Johnson Sirleaf in the second round of voting. In the 2011 election, he ran unsuccessfully as Vice President alongside Winston Tubman. Weah was subsequently elected to the Liberian Senate for Montserrado County in the 2014 elections. After playing in the Liberian domestic league at the beginning of his successful career, and winning several national honours (including the Liberian Premier League and the Liberian Cup), Weah moved to Europe in 1988, when he was signed by Arsène Wenger, who was the manager of Monaco at the time, and whom Weah credits as an important influence on his career. During his time with Monaco, Weah won the African Footballer of the Year for the first time in 1989; this was his first major award and he took it back home for the entire country to celebrate. Weah also won the Coupe de France in 1991, and he helped Monaco reach the final of the European Cup Winners’ Cup in 1992, scoring four goals in nine cup appearances. Weah subsequently played for Paris Saint-Germain (1992–95), with whom he won the Coupe de France in 1993 and 1995, the French league in 1994, and the Coupe de la Ligue in 1995 during a highly prolific and successful period; he also became the top scorer of the 1994–95 UEFA Champions League, with seven goals, after reaching the semi-finals with the club, one of which was a skillful individual “wonder-goal” against Bayern Munich in the group stage, on 23 November 1994.During his time at the club, he also managed to reach the semi-finals of the 1992–93 UEFA Cup, and the semi-finals of the 1993–94 European Cup Winners’ Cup; in total, he scored 16 goals in 25 European games. In 1994, he won the African Footballer of the Year Award for the second time in his career. Weah joined Milan in 1995, with whom he immediately won the Italian league in 1996 under Fabio Capello, playing alongside Roberto Baggio and Dejan Savićević in Milan’s attack, as well as Marco Simone, on occasion, and finishing the season as Milan’s top goalscorer; he won the Serie A title once again in 1999. During his time with the club, he also reached the 1998 Coppa Italia final, and finished as runner-up in the Supercoppa Italiana on two occasions, in 1996 and 1999. Despite their European dominance in the early 1990s, Milan were less successful in Europe during this time however, with their best result being a quarter-final finish in the 1995–96 UEFA Cup. In addition to his skill, athleticism and goal scoring prowess, Weah also became famous at Milan for scoring several notable goals, including his goal against Lazio in December 1995, and in particular a solo goal against Hellas Verona at the San Siro, which saw him take the ball just outside his own penalty area, and slalom his way past seven opposing players, before scoring. In total, he scored 58 goals in 147 games for Milan. 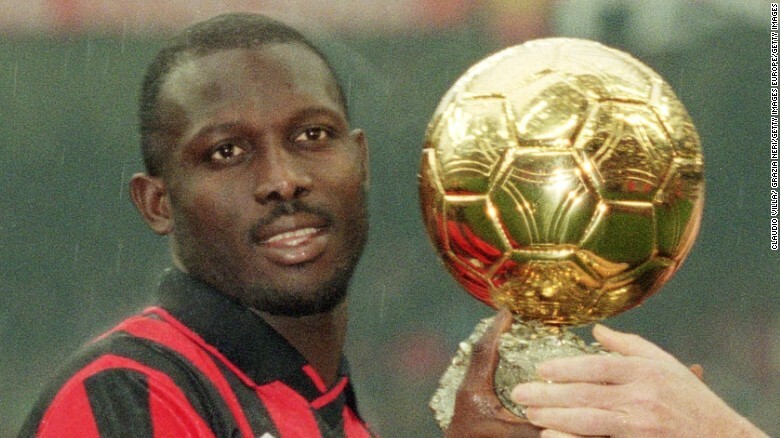 Due to his successes, goalscoring, and performances with both Paris Saint-Germain and Milan, in 1995 Weah was the recipient of several individual awards: he won the Ballon d’Or, the Onze d’Or, and was named FIFA World Player of the Year, becoming the first and, currently, only native African player ever to win these awards; Weah dedicated his FIFA World Player of the Year victory to his former manager, Arsène Wenger, stating that it was thanks to him that he was able to develop into a world class player. That year, Weah also won the African Player of the Year Award for the third time in his career, and was named to the Onze de Onze by the French football magazine Onze Mondial. In 1996, Weah finished second in the FIFA World Player of the Year ranking; he was also the recipient of the FIFA Fair Play Award, and was voted the African Player of the Century by sport journalists from all around the world. Weah was banned from six European matches for breaking the nose of the Portuguese defender Jorge Costa on 20 November 1996 in the players’ tunnel after Milan’s draw at Porto in the Champions League. Weah said he exploded in frustration after putting up with racist taunting from Costa during both of the teams’ Champions League matches that autumn. Costa strenuously denied the accusations of racism and was not charged by UEFA as no witnesses could verify Weah’s allegations, not even his Milan teammates. Weah later attempted to apologise to Costa but this was rebuffed by the Portuguese, who considered the charges of racist insults levelled against him to be defamatory and took the Liberian to court. The incident led to him undergoing facial surgery and he was subsequently sidelined for three weeks. Despite the incident, Weah still received the FIFA Fair Play Award in 1996. 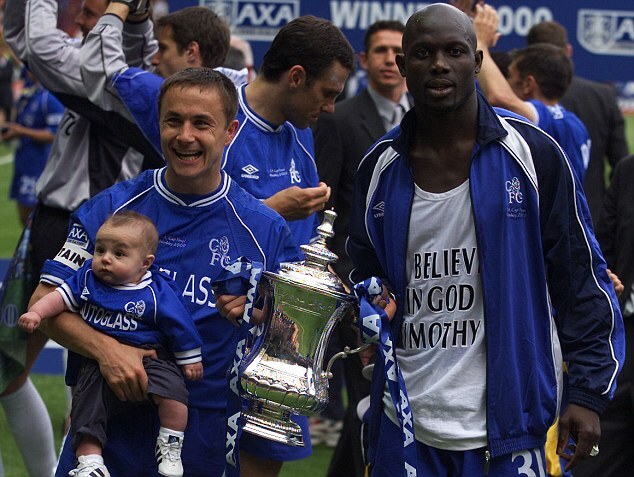 Weah signed for English Premier League club Chelsea on loan from Milan on 11 January 2000, in a deal which would keep him with the West London club until the end of the 1999–2000 English season. Weah’s time in England was deemed a success, especially at Chelsea where he instantly endeared himself to their fans by scoring the winner against rivals Tottenham Hotspur on his debut, and scored further league goals against Wimbledon and Liverpool. He also scored twice in Chelsea’s victorious 1999–2000 FA Cup campaign, netting crucial goals against Leicester City and Gillingham. This led to him starting in the final, which Chelsea won 1–0. Chelsea manager Gianluca Vialli did not make Weah’s move permanent, and on 1 August 2000 he officially left Milan, and signed for newly promoted English Premier League side Manchester City on a free transfer on a two-year contract worth £30,000 a week, declining the offer of a £1 million pay-off from Milan owner Silvio Berlusconi. He played 11 games in all competitions for City, scoring four times, before leaving on 16 October 2000 after becoming dissatisfied with manager Joe Royle for selecting him as a substitute too frequently; he had only played the full 90 minutes in three of his 11 games for the Maine Road club At City, he scored once in the league against Liverpool (as he did at Chelsea), and three times against Gillingham (again as he had at Chelsea), this time in the League Cup; once in the first leg and twice in the second. Following his time in England, Weah returned to France and had a spell at Marseille, where he remained until May 2001. He later played with Al-Jazira in the UAE Arabian Gulf League, where he remained until his retirement as a player in 2003, at age 37. As successful as he was at club level, Weah was not able to bring over that success to the Liberia national team. In total, Weah played 60 games for Liberia over 20 years, scoring 22 goals. As one of the smaller nations in world football and perennial underdogs, Weah did everything he could in order to support the national squad: aside from being the team’s star player, he also later coached the squad, and even funded his national side to a large extent. Despite his efforts, he was unsuccessful in helping Liberia qualify for a single FIFA World Cup, falling just a point short in qualifying for the 2002 tournament. However, he did help Liberia to qualify for the African Cup of Nations on two occasions: Weah represented his country in the 1996 and 2002 editions of the tournament, although Liberia failed to make it out of their group both times, suffering first-round eliminations. During his prime in the 1990s, Weah was regarded as one of the best strikers in the world, despite not being to be able to score as many goals as other prolific forwards of his generation. In spite of that, Weah was lauded for his work-rate, class and attacking instincts, as well as his physical and athletic attributes, which he combined with his finishing, technical ability, creativity and skill. A fast, powerful, physically strong player, he successfully filled the void left in the Milan attack by club legend Marco van Basten. In addition to his pace, dribbling skills, and goalscoring ability, Weah was also a team-player who was capable of creating chances and assisting goals for teammates. Along with Ronaldo and Romário, Weah was seen as a modern, new breed of striker in the 1990s who would also operate outside the penalty area and run with the ball towards goal, during a time when most strikers primarily operated inside the penalty area where they would receive the ball from teammates. Weah is a devoted humanitarian for his war-torn country. During his playing career he became a UN Goodwill Ambassador. At the 2004 ESPY Awards at the Kodak Theatre, Los Angeles, Weah won the Arthur Ashe Courage Award for his efforts. He has also been named a UNICEF Goodwill Ambassador, a role which he has suspended while he pursues a political career. Weah has tried to use football as a way to bring happiness and promote education for children in Liberia. In 1998, Weah launched a CD called Lively Up Africa featuring the singer Frisbie Omo Isibor and eight other African football stars. The proceeds from this CD went to children’s programmes in the countries of origin of the athletes involved. Weah was President of the Junior Professionals, a football team he founded in Monrovia in 1994. The team is now defunct. 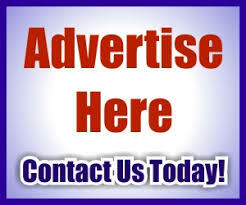 As a way to encourage young people to remain in school, the club’s only requirement for membership is school attendance. Many of the young people, recruited from all over Liberia, have gone on to play for the Liberian national team. In 1998, a documentary about Weah’s footballing career with Milan was broadcast on The A – Force BBC-TV; it was made by Pogus Caesar, a British award-winning producer and director. 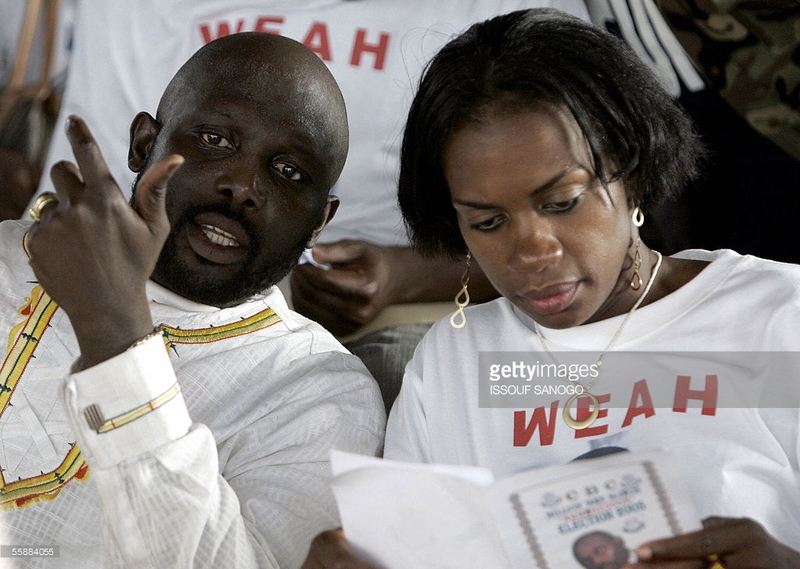 Following the end of Second Liberian Civil War, Weah announced his intention to run for President of Liberia in the 2005 elections, forming the Congress for Democratic Change to back his candidacy. While Weah was a popular figure in Liberia, opponents cited his lack of formal education as a handicap to his ability to lead the country, in contrast with his Harvard-educated opponent, Ellen Johnson Sirleaf. 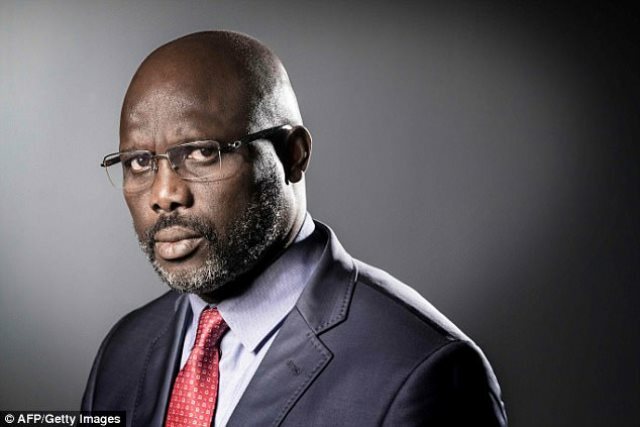 Analysts also noted Weah’s lack of experience, calling him a “babe-in-the-woods”, while Sirleaf had served as minister of finance in the Tolbert administration in the 1970s and had held positions at Citibank, the World Bank and the United Nations. Weah’s eligibility to run for Presidency was also called into question as it was reported that he had become a French citizen in his footballing career at Paris St. Germain, but these complaints were rebuffed by the electoral commission in court and Weah was allowed to proceed. 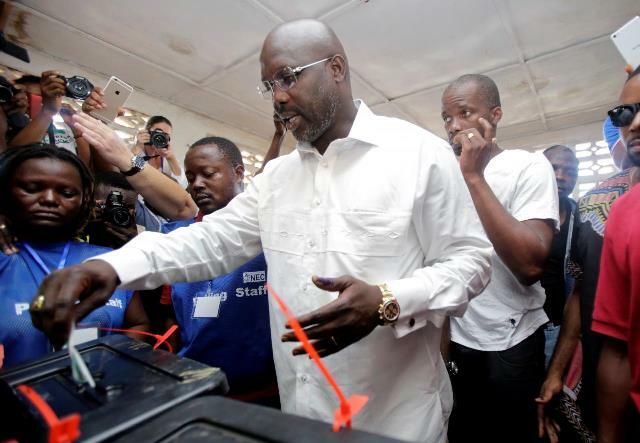 Weah obtained a plurality of votes in the first round of voting on 11 October, garnering 28.3% of the vote. This qualified him to compete in a run-off election against Sirleaf, the second placed candidate. However, he lost the run-off to Sirleaf on 8 November, garnering only 40.6% to 59.4% for Sirleaf. 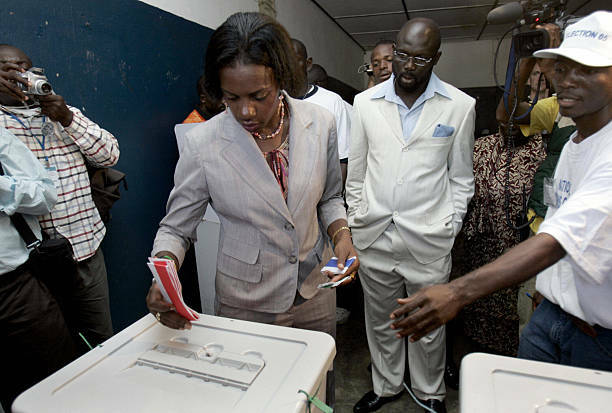 Weah alleged that the election had been rigged through voter intimidation and ballot tampering, and many of his supporters protested the results in the streets of Monrovia. 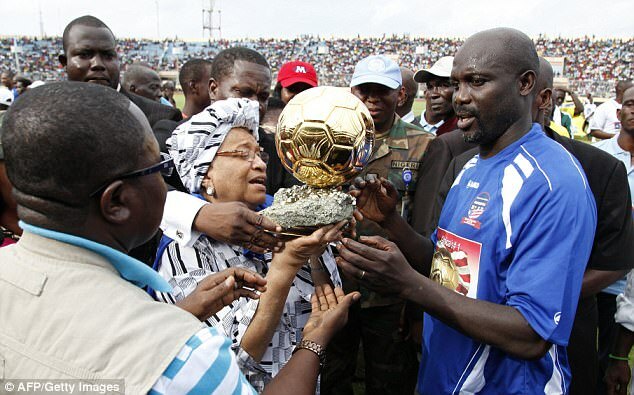 However, after assurances that the vote was fair several prominent African leaders called on Weah’s supporters to accept the result with grace and dignity, and Sirleaf became President. The African Union had characterized the elections as “peaceful, transparent, and fair”. Weah’s lack of education became a campaign issue. He has been highly critical of those who say he is not fit to govern: “With all their education and experience, they have governed this nation for hundreds of years. They have never done anything for the nation.” He initially claimed to have a BA degree in Sports Management from Parkwood University in London, however this is an unaccredited diploma mill which awards certificates without requiring study. Weah then pursued a degree in business administration at DeVry University in Miami. In 2014, he ran for election to the Senate as a Congress for Democratic Change candidate in Montserrado County. He was overwhelmingly elected to the Liberian Senate on 20 December 2014. Weah defeated Robert Sirleaf, the son of President Sirleaf, becoming the first Liberian international athlete elected to represent a county in the Legislature. He won a landslide victory, receiving 99,226 votes, which represented 78.0% of the total votes from the 141 polling centers, while Sirleaf, his closest rival received 13,692 votes, which is nearly 11% in the election marred only by a low turnout. 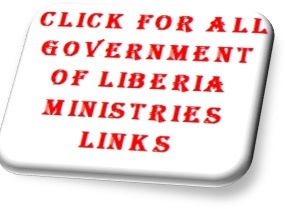 In April 2016, Weah announced his intention to run for President of Liberia for a second time. He was elected President of Liberia in the 2017 general election, winning a run-off against Vice President Joseph Boakai. Weah was born and raised in the Clara Town slum of Monrovia. He is a member of the Kru ethnic group, which hail from south-eastern Liberia’s Grand Kru County, one of the poorest areas of the country. His parents were William T. Weah, Sr. and Anna Quayeweah. He was raised largely by his paternal grandmother, Emma Klonjlaleh Brown. He attended middle school at Muslim Congress and high school at Wells Hairston High School. Before his football career allowed him to move abroad, Weah worked for the Liberia Telecommunications Corporation as a switchboard technician. He has three children: George Weah Jr, Tita and Timothy. After a trial with Chelsea in 2013, Timothy signed with Paris Saint-Germain in 2015. He also plays for the United States at youth level. George Weah converted from Protestant Christianity to Islam, before converting back. He hopes for peace for Muslims and Christians, and says they are “one people”. Nowadays Weah professes Protestantism. In October 2017, he was spotted in the prominent Nigerian church of Pastor T.B. Joshua alongside Liberian Senator Prince Yormie Johnson. Joshua was allegedly a key influence in Johnson’s decision to endorse Weah’s candidacy in the 2017 Liberian elections.